On January 7, 1859 The New York Herald announced that no longer would "the New York and Harlem Railroad Company, or any other company or person" be permitted to run "steam engines or locomotives on Fourth avenue, below or south of Forty-second street." The new regulation was in response to what today would be called a class action suit by residents in the recently-developing neighborhood. Listed among the plaintiffs were "Peter Ten Eyck and Margaret Ten Eyck, his wife." Peter, in fact, had initiated the proceedings. The Ten Eycks had personal reasons to oppose the locomotives. They had erected a commodious and charming home on the northeast corner of 34th Street and Fourth Avenue two years earlier. 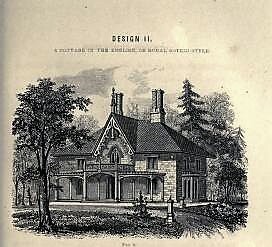 The Gothic Revival residence no doubt took its inspiration from the 1842 Cottage Residences, by Andrew Jackson Downing. The book was highly responsible for the popularity of the Gothic Revival style in domestic architecture. The Ten Eyck house was clad in red brick, its openings trimmed in stone square-headed drip moldings. Gothic tracery dripped from the eaves, a picturesque oriel clung to the eastern corner, and a high stoop led to the ornate pointed-arched doorway. The Ten Eyck family had been in America since 1650 when Coenraedt Ten Eyck and his wife Maria arrived from Amsterdam. Peter had married Margaret S. S Troutman in 1843. She was the daughter of Sir John Troutman of the British navy. Decades later, in 1881, historian James P. Snell noted "Miss Troutman was a lady of culture and possessed of many virtues. She was a graduate of the Moravian seminary of Bethlehem, Pa., was a fine artist and musician, and possessed a voice of exquisite power and beauty." Five years later Ten Eyck graduated with honors from the Medical Department of the University of the State of New York. The well-heeled doctor was also a recognized linguist and inventor. He held patents for a vehicle brake and the "Rocking-and Revolving Chair." The couple had two children, Blendenia and Charles Richard. Just three years after moving into the new house, Peter Van Eyck died on February 11, 1860 at the age of 43. 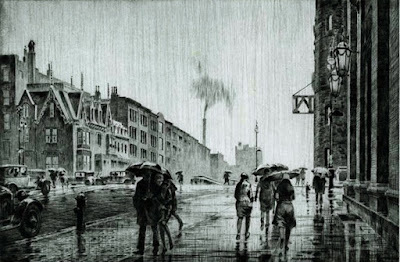 James P. Snell said "In his own home he was ever the faithful and considerate husband and father, and by his removal the hearthstone of one of the happiest of New York homes was made forever desolate." Margaret immediately left the house she had built with her husband; selling it later that year to paper merchant Charles W. Kearney. That year, on April 14 The New York Times noted that Fourth Avenue above 34th Street was "now christened Park-avenue." It would see one other owner, shipwright Augustus Berrian, before becoming home to Dr. Edward Keyes by 1885. The wealthy patients of Dr. Keyes included his neighbors. Just after midnight on May 1, 1885, for instance, he was summoned to the mansion of Cornelius K. Garrison at No. 22 Park Avenue. The merchant, who had garnered a fortune by establishing a California store during the Gold Rush, had "been made ill over the tangle of his business affairs last June," explained The Sun. Keyes "discovered symptoms of paralysis," which would today be recognized as signs of a major stroke. The millionaire died later that day. Keyes was the president of the American Association of Genito-Urinary Surgeons. His professional papers included topics like "The Curability of Urethral Stricture by Electricity," published in 1888. His reputation was such that when Allen Thorndike Rice, the newly-appointed United States Minister to Russia fell ill in the Fifth Avenue Hotel in May 1889, it was Keyes who was summoned. He and his wife were included among the highest echelons of Manhattan society. On October 7, 1893, for instance, they were the guests of J. Pierpoint Morgan and his wife on their 241-foot yacht, the Corsair II. The vessel was famously outfitted with Minton bone china, Tiffany & Co. silver cigar cutters, and poker chips carved from ivory. Although the entrance to their house was unmistakably located on 34th Street, the Keyes began using the more impressive address of No. 1 Park Avenue. But as Upper Fifth Avenue drew Manhattan's millionaires ever northward, many abandoned Murray Hill. The price the doctor placed on his Park Avenue property proved, nevertheless, that the neighborhood was still exclusive. In 1891 Keyes sold the house to John L. B. Mott for $110,000 (nearly $3 million in 2017). In 1897 No. 1 Park Avenue was purchased by Robert Bacon and his wife, the former Martha W. Cowdin. The couple had married in 1883. Bacon had become a partner in J. P. Morgan & Co. in 1894 and helped Morgan form the U. S. Steel Corporation. The Bacons quickly updated their Victorian house. On July 8, 1899 The Record & Guide reported that they had hired architects Howard, Cauldwell & Morgan to design a "new front and extension to the rear." Less than a year later, in May 1900, the architects were back, doing $6,000 in renovations that included a "new stoop and entrance." The changes extended the angled bay and corner oriel to two floors and converted the former carriage house at the "rear" (actually, the side) into an large extension. The stoop now faced sideways and the entrance was enclosed. Somewhat surprisingly, the Gothic gingerbread details were mostly preserved. The Bacons had four children, Robert Low, Gaspar Griswold, Elliot Cowdin, and Martha Beatrix. Business pressures caused Bacon to resign from J. P. Morgan & Co. in 1903. 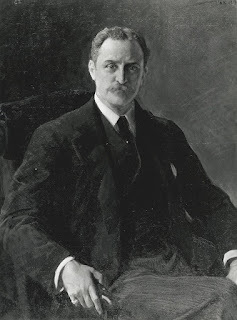 Two years later he was appointed Assistant Secretary of State; becoming Secretary of State during Theodore Roosevelt's last 38 days in office, from January 27 to March 5, 1909. He became the United States Ambassador to France later that year. 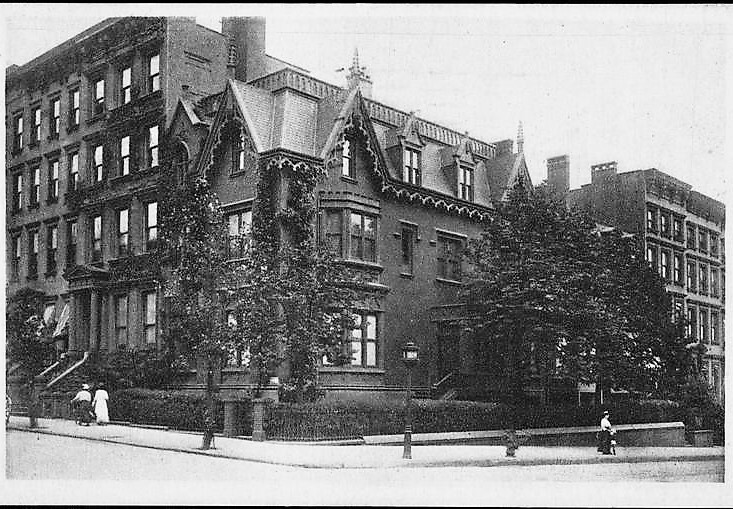 Despite the blasting for the Park Avenue subway in 1901 (against which The New York Times reported the Bacons were "especially strong in their protests"), the immediate Murray Hill area continued to be upscale. Among the Bacons' neighbors were millionaires J. H. Robb, P. H. Butler, and Horace Russell. In 1909 Robert and Martha hired John Russell Pope to design their country estate, Old Acres, in Old Westbury, Long Island. 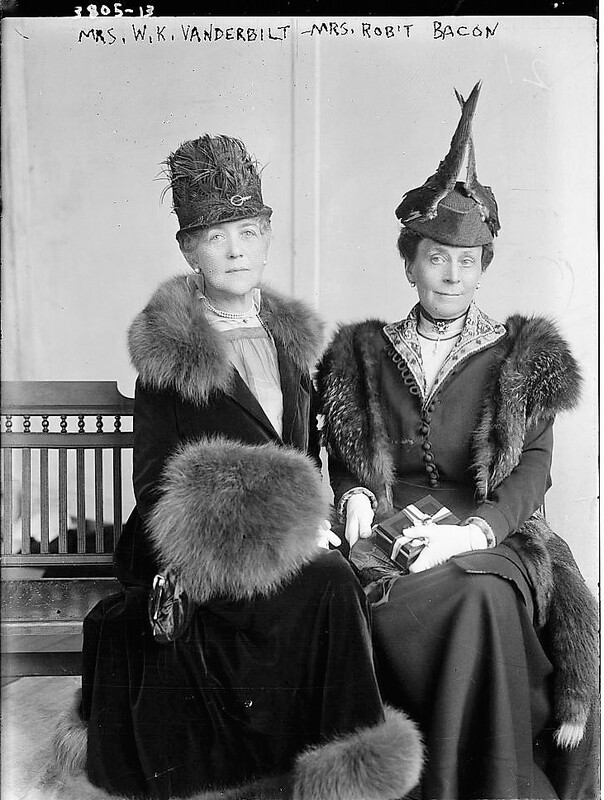 Martha and Martha Beatrix were in France with Robert when his ambassadorship came to an end in April 1912. They were scheduled to leave for New York on April 10, 1912, departing from Southampton. In what was initially seen as an annoyance, the arrival of the new ambassador was delayed and the family had to cancel their booking on the new R.M.S Titanic. Following the outbreak of war in Europe, both Martha and Robert returned to France. In August 1914 he helped with the American Field Service which provided ambulances and drivers. 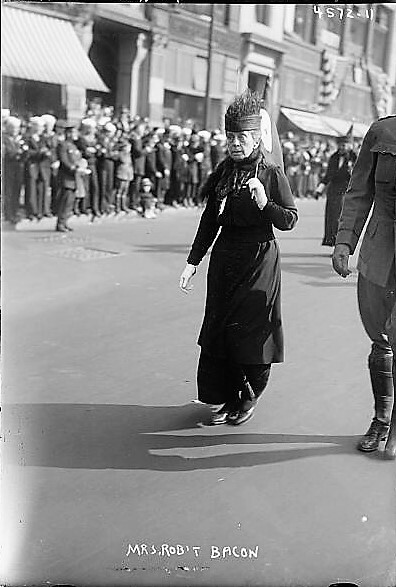 The New York Times later reported "Mrs. Bacon at that time assisted her husband in organizing and supporting the American ambulance service in France." The French Government awarded her the Legion of Honor. 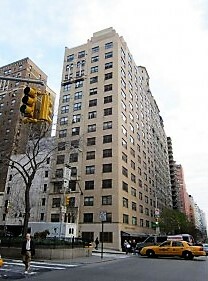 Bacon's political connections resulted in high-powered guests in the Park Avenue house. On April 1, 1916 The Times reported that "Colonel Theodore Roosevelt had luncheon yesterday at the home of Robert Bacon, 1 Park Avenue, with ex-Senator Elihu Root, Senator Henry Cabot Lodge of Massachusetts...and General Leonard Wood." Robert Bacon was back in France in May 1917 when he was commissioned a major in the U. S. Army as a member of General Pershing's staff. He was promoted in 1918 to Lieutenant Colonel and served as Chief of the American Military Mission at British General Headquarters. One month after he returned to New York in April 1919, he died from blood poisoning following an operation for mastoiditis. On May 31 The Times noted that "Telegrams of condolence were received by the family yesterday from all parts of this and other countries, coming from soldiers, statesmen, diplomats, business men, educators, and personal friends." Martha remained in the Park Avenue house. Her children made names for themselves. Martha Beatrix married millionaire George Whitney, Gaspar became Lieutenant Governor of Massachusetts, Elliot, like his father became a partner in J. P. Morgan & Co., and Robert was elected a United States Congressman. 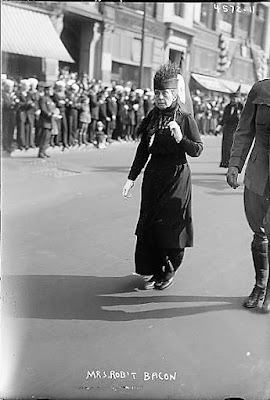 Despite her many philanthropies and entertainments, Martha Cowdin Bacon would perhaps best be remembered for her years-long and determined battle with the City against the renumbering of Park Avenue. In 1924 Henry Mandel and his associates incorporated the No. 1 Park Avenue Corporation and began construction of a large office building between 32nd and 33rd Streets. They lobbied the Aldermen to extend Park Avenue two blocks south so their structure could take the catchy address of No. 1 Park Avenue. In February 1925 The Times announced that "A lively meeting is expected in the Aldermanic Chamber next Tuesday." The article explained "The fight started when Mrs. Bacon discovered that the addition of two blocks to Park Avenue would mean the loss of No. 1 Park Avenue, which the Bacon home has borne for many years." A later newspaper article stated "Her case is that of the noble Roman. Better first almost anywhere than second on Park Avenue." Although the newspaper assumed the decision would be made in that meeting, the fight continued for three years. In the end Martha Bacon lost her legal battle and her house was renumbered No. 7. She was, nevertheless, not one to cave in. As author Lyn Wilkerson pointed out in the 2010 Historical Cities--New York City, "Despite the fact that she lost the suit...her residence was listed in the telephone directory as '1 Park Avenue.'" Robert Low Bacon was killed in an automobile accident on the Grand Central Parkway on September 12, 1938. Martha never fully recovered from the shock and her health began to fail. She died in Old Acres on November 12, 1940 at the age of 80. By now the old Gothic Revival house on Park Avenue was a stark anachronism, dwarfed by soaring buildings that edged up against it. It survived until 1953 when it was replaced by an addition designed by David Moed to the L-shaped apartment building, 7 Park Avenue. Quite fascinating history; thank you! I, like Mrs. Bacon, would have continued to list my address as 1 Park Avenue despite what happened.